Dreaming the Beatles is not another biography of the Beatles or a song-by-song analysis of the best of John and Paul. It isn't another exposé about how they broke up. It isn't a history of their gigs or their gear. 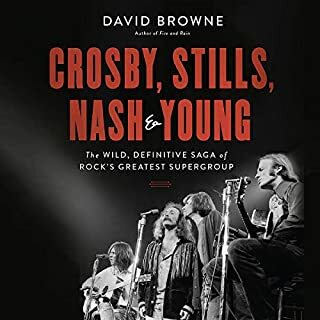 It is a collection of essays telling the story of what this ubiquitous band means to a generation who grew up with the Beatles' music on their parents' stereos and their faces on T-shirts. What do the Beatles mean today? Why are they more famous and beloved now than ever? Find out. In 1969, a rumor erupted that Paul McCartney, “the cute Beatle”, had been replaced. Generations later, we see that the Beatles spent hundreds of hours making “Paul is Dead” clues but were required to deny it. What if “Billy Shears” really had replaced Paul and still plays that role today? How would he explain taking over the band? The memoirs, from Billy Shears’ perspective, reveals his conflict with John but also his delight in working with “Fifth Beatle” George Martin. Through such hits as "The Sound of Silence", "Bridge Over Troubled Water", "Still Crazy After All These Years", and "Graceland", Paul Simon has spoken to us in songs for a half-century about alienation, doubt, resilience, and empathy in ways that have established him as one of the most honored and beloved songwriters in American pop music history. His music has gone beyond the sales charts into our cultural consciousness. He was the first songwriter awarded the Gershwin Prize by the Library of Congress and is a member of the Rock and Roll Hall of Fame and the Songwriters Hall of Fame. The first book of two, Maximum Volume traces Martin's early years as a scratch pianist, his life in the Fleet Air Arm during the Second World War, and his groundbreaking work as the head of Parlophone Records, when Martin saved the company from ruin after making his name as a producer of comedy recordings. 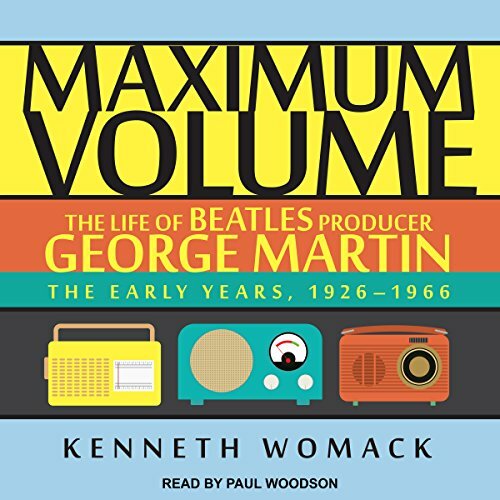 In its most dramatic moments, Maximum Volume narrates the story of Martin's unlikely discovery of the Beatles and his painstaking efforts to prepare their newfangled sound for the British music marketplace. As the story unfolds, Martin and the band craft numerous number one hits, progressing toward the landmark album Rubber Soul - all of which bear Martin's unmistakable musical signature. 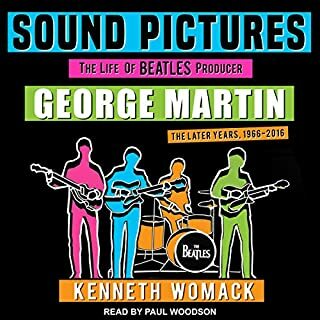 I've been waiting for this book/audiobook for a long time, for an informed and detailed telling of George Martin's work in the EMI studios with the Beatles during the 1960s. In that regard, this one excels, covering each recording session (and the songwriting work leading up to it) in compelling detail. As for the narration, I realize there are a lot of quotes from George Martin, the Beatles, etc. in the written book and that they must be incorporated into the audiobook. But, as with Volume 1 of Lewinson's Tune In, substandard or lazy Liverpudlian accents quickly detract from the excellent story. Paul Woodson, the narrator for this audiobook, is American born but spent a few childhood years in the UK. Still, neither his uppercrust George Martin accent or the foursome's heavy Scouse accents are done very well. Everything else is excellent. an exceptional biography of George Martin. from his humble beginnings to his work with the greatest rock and roll band in the world. George Martin's life his told with just enough detail to make an often told story fresh. I have read many, many Beatle books and find that almost all partially and some totally rehash information already out there. Many are worthless in the blatant retelling of tired old stories. In Maximum Volume I learned things I did not know. In this book there are stories and facts that add insight and color to the epic story, as life long Beatle fan that was refreshing. George was a vital part of the magic and his part of the story is interesting and pertinent. My only regret is the same as another reviewer in wishing the story had continued into Sgt.Pepper and beyond. I loved the book and will listen again. My only complaint is where the book ended.....up until that point the story was fascinating and well read. My only complaint he could have gone further...even after the breakup of the band each of the band members had interactions with Martin and he worked with them in their solo work and that is also a important part of the story. The author made you think he had a word limit and he got to the end of his allotted words and abruptly stopped writing. That being said to that point it was in depth and interesting. The performance was very good. 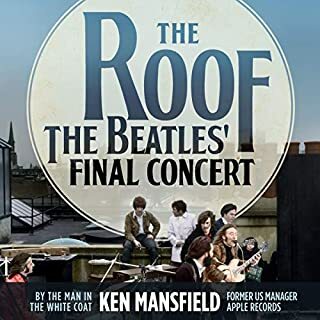 At the halfway point, I realized that I really don’t care about George Martins life story...just his life around the Beatles. There’s plenty of Liverpool and St. Pauli’s, and anecdotal stuff that you haven’t heard...just not enough. And it has to be said about how much narration adds or takes away from the story told. I thought this guy was going to be tolerable, but he speaks in a sort of faux- foppish pomp that really takes away and distracts. 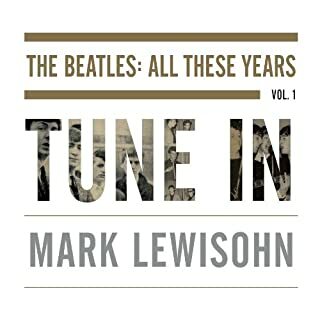 Mark Lewinsohn is easily the most listenable, enjoyable and informative work on the Beatles...and its more than twice as long...and on a period 1/3 of the length of MV. I’m a fan of George Martin, but only the 7 or so years he collaborated with the Beatles kept my attention. Not the worst but not the best. 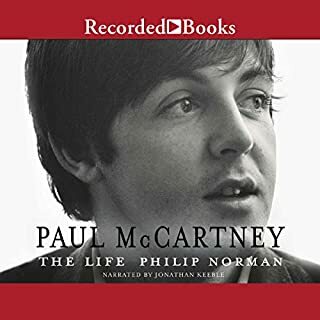 Being a Beatles fan, and having read numerous books about the band, their recording sessions, as well as the recent books by George Martin and Geoff Emerick, I was looking forward to this one. The story is thorough enough, and provides some alternate color on the other books I have read. One small point about the writing; Mr. Womack does get repetitive in spots, for example, a few times he reintroduces certain Liverpool bands (complete with descriptions) when he has already done so in previous chapters. It seems like the manuscript did not get the best editing job to catch those items. That said, I can overlook it since the story overall is good. What is not working for me is the faux-British accents (and a few Scottish ones too). I get that Mr. Woodson was trying to add some life and color to the story, which I appreciate. But it's too loose and not very well executed in areas. For example, he tries to mimic George Martin's accent when the book is quoting him. But when he goes back to narration, he is sort of using an American accent, but still some British too. It's as if he can't switch back and forth and glides instead, mid-sentence. In some areas he completely mispronounces words that aren't due to regional dialects. For example, at one point he says Nazis. But he says it like Nah-siss (short i), as if he has never seen the word before. At other times, words like record get odd pronunciations. Having lived in the UK and US, I know it's not some regional dialect; plus many of these odd inflections were narrations, not quotes. As it stands, I think Mr. Woodson's normal voice is pleasant enough, and believe the performance would have been better if he just read it without the affected tones. If this book had not been one I really wanted to 'read', I would have stopped listening after the first chapter due to the accents. Sorry for the tough review, but I am not sure I will read the next volume if it's done the same way. Overall I was happy to finally have a biography that deals with George Martin, famed Beatles producer, musician, and arranger (along with many other titles). I found the material to be good, but I finished wanting more, even out of the abbreviated period Womack discussed (next volume comes out very soon, I believe). 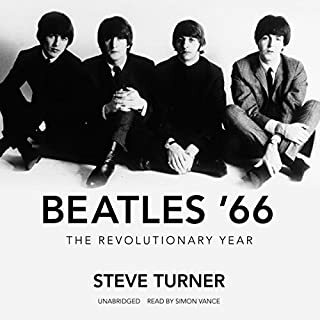 Having read Tune In by Mark Lewisohn, I felt like nerly everything that was discussed in Womack's book was pulled from Lewisohn's book, which was disappointing with exception of the period after 1962. The bits after 1962 felt like they will be even more fleshed out when Lewisohn's next volume comes out, so I felt like I was not getting anything substantive. Perhaps the next volume will give me more information to better understand how he evolved (or continued to evolve). Beatle Books Need British Narrators! I would love to tell you how much I loved this book, because the info was interesting and pretty well-written. But I'm too annoyed at the choice of narrator. Womack speaks clearly and can do some British accents, but not the correct British accents for the particular people who are the main characters of this book. George Martin and the Beatles have accents which are distinctive, recognizable, and well-loved by serious Beatles fans. It just about ruined the book for me to hear the Beatles and, especially George Martin sporting the wrong accents! For instance, George does not pronounce "good" as "gewd,' as Womack has him do. Ugh! I love George Martin's voice and this is simply not it. If the next book is read by Womack, I'll get it out of the library rather than buying it. What made the experience of listening to Maximum Volume: The Life of Beatles Producer George Martin the most enjoyable? What was one of the most memorable moments of Maximum Volume: The Life of Beatles Producer George Martin? What does Paul Woodson bring to the story that you wouldn’t experience if you had only read the book? as an avid Beatles fan this book was a must. and while the narrators accents are a little off the mark, it doesn't detract from the book. The book is well researched and written and a must have for a Beatles, music, music production and George Martin fan.. If you could sum up Maximum Volume: The Life of Beatles Producer George Martin in three words, what would they be?